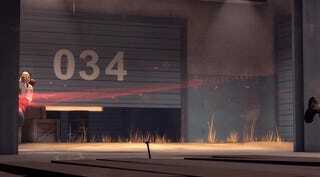 Held around a year ago, Insomnia49 was the biggest-ever LAN tournament for fans of Team Fortress 2. This week, a documentary of the event has been released, and it's great. You can see the whole thing on YouTube for free, but if you dig it, support the filmmakers and buy a proper copy (60fps, full-size, etc) here for just $5.